· Working pressures up to 40 bar. · With manual, electric, hydraulic or pneumatic actuator, including integrated control systems. · Manufactured in cast iron, carbon steel, stainless steel and bronze. · Can be lined with specialized ebonite rubber, epoxy resin or bituminous paints. 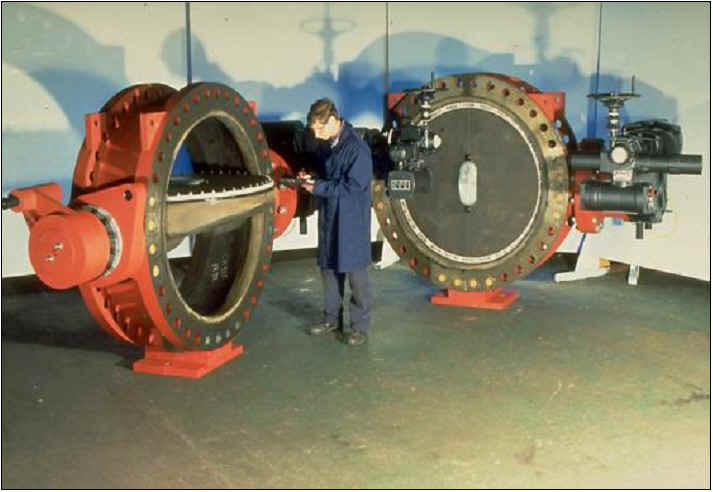 · Individually designed to suit your flow and pressure requirements. 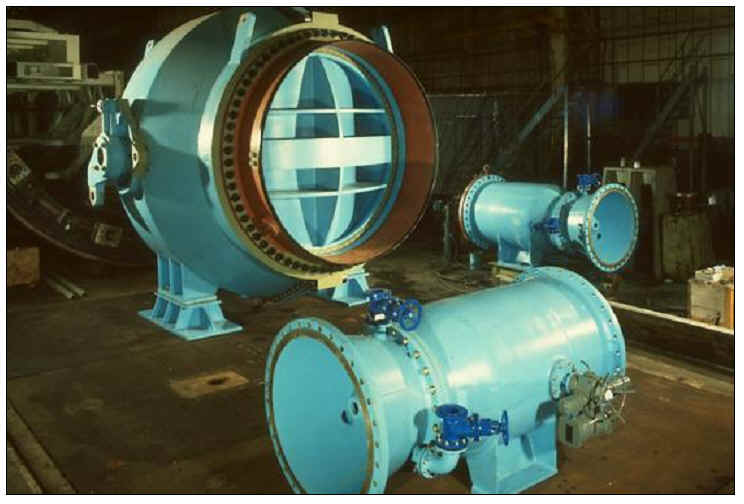 Example, these 2 meter diameter submerged discharge valves supplied to the Great Man-Made River Authority in Libya. 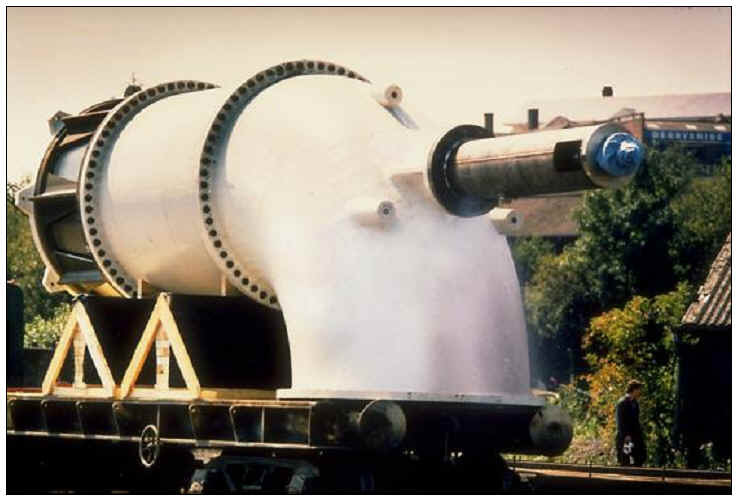 Example 2000mm Diameter Spherical Valve, controlling water from high level storage to low level service reservoirs, avoid the need for intermediate level transfer basins.